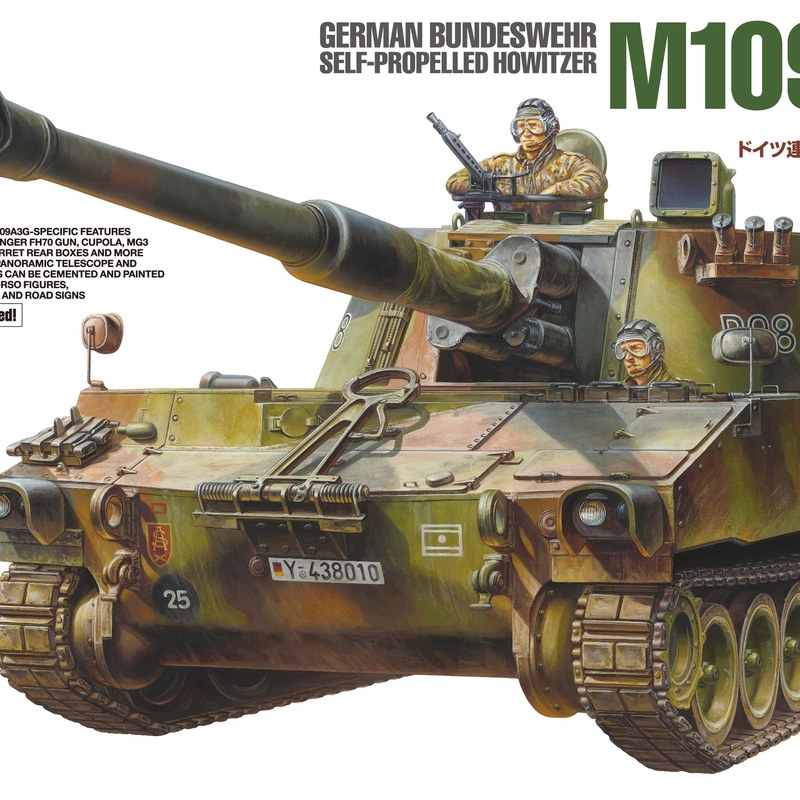 This is a model of the German Bundeswehr Self-Propelled Howitzer M109A3G. It is a collaborative release by Italeri and Tamiya. The M109A3G-specific parts are made by Tamiya and Italeri. 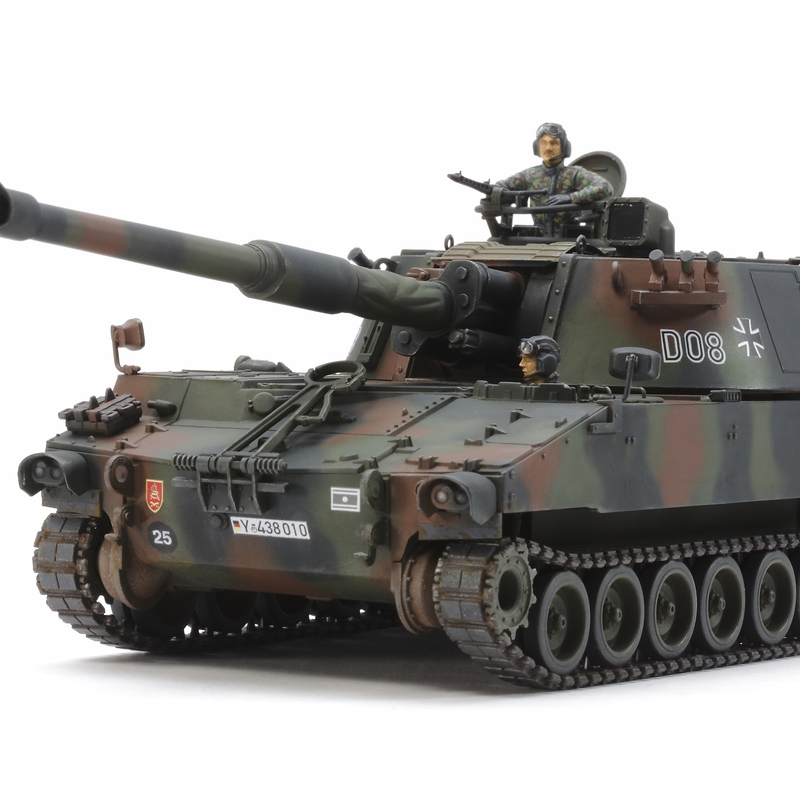 The kit has new and updated parts, plus Tamiya figures, decals and instruction manual. 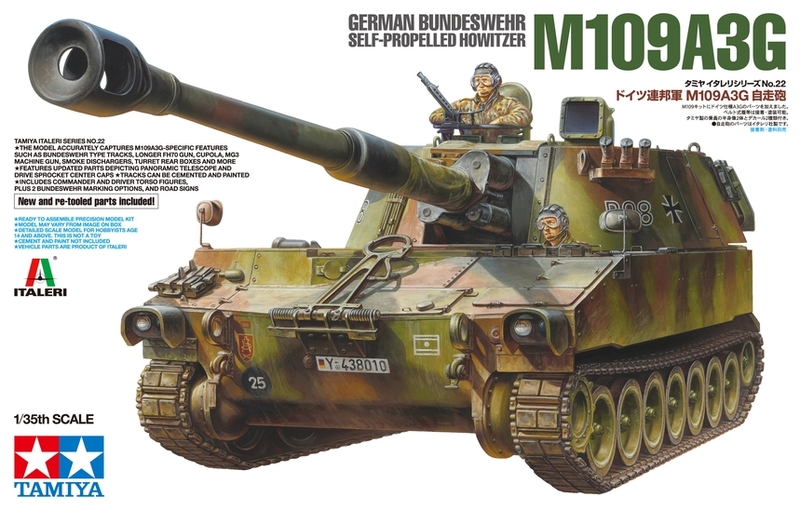 Design work on the actual U.S. M109 began in 1952; eventually, the self-propelled Howitzer served 26 militaries, including the German Bundeswehr's M109G, which had its own track and cupola design, plus smoke dischargers, turret rear storage boxes and panoramic telescope. Replacing the 155mm gun with the FH70 barrel improved range by over 30% to 24.7km; the M109A3G served until 2007. Special Feature 1 Vehicle parts are a product of Italeri. Special Feature 2 Using the original M109 kit as a base, this model accurately captures M109A3G-specific features such as the cupola, smoke dischargers, storage boxes and FH70 gun. Special Feature 3 Moldings have been sharpened up to depict previously missing or unclear features such as the panoramic telescope, and to give a better parts fit. Special Feature 4 Drive sprocket center caps are now captured by new, separate parts. 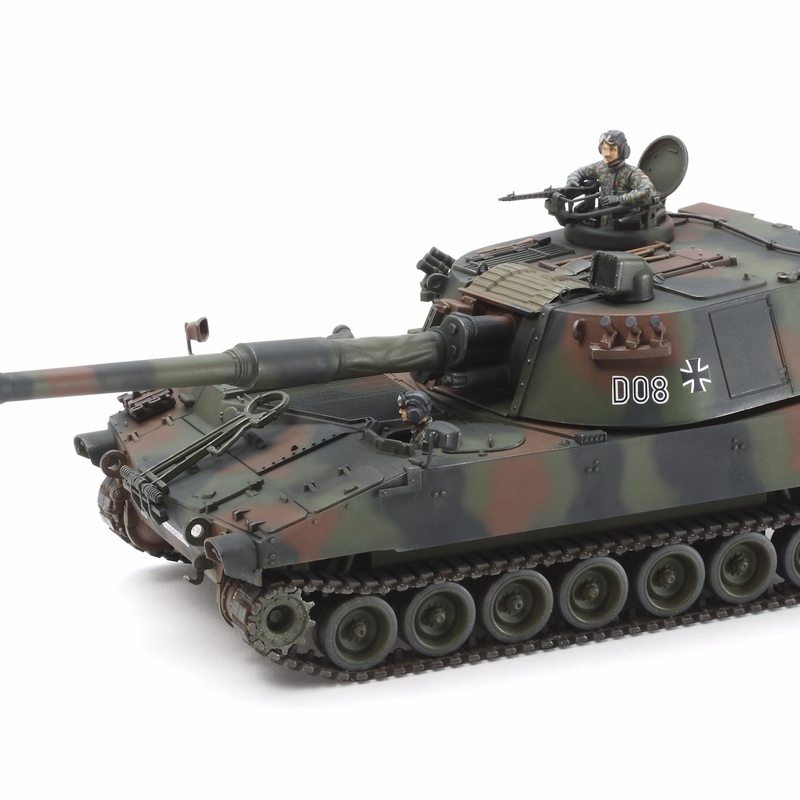 Special Feature 5 Tracks accurately depict Bundeswehr parts and now use cement- and paintable material. 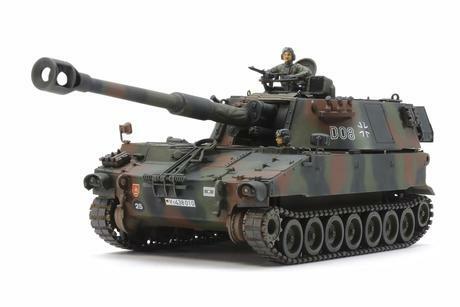 Special Feature 6 Tamiya commander and gunner figures are included, with new base from Italeri. 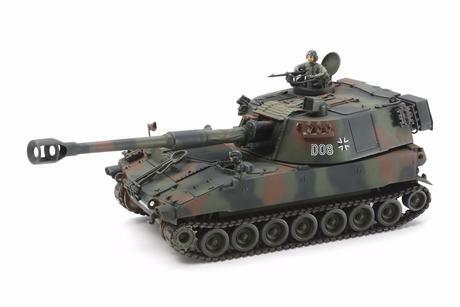 Special Feature 7 2 Tamiya marking options and a new Tamiya instruction manual are included.